Fallout: New California is a prequel mod to Fallout: New Vegas that fans of the early Fallout games began working on back in 20o9. Now, in the project’s most recent update, the makers say the game is finally playable from start to finish. Originally planned as a mod for Fallout 3 called Fallout: Project Brazil, Fallout: New California follows a character from Vault 18 in the post-apocalyptic remains of the Golden State. 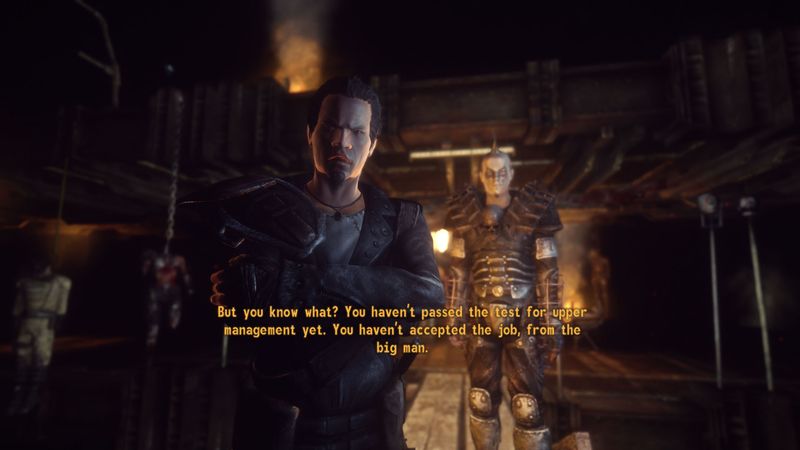 A pivotal choice in the beginning of the game will send them down one of two paths which the player’s actions then augment even further, all of which is set before the main events of Fallout: New Vegas. The mod is a sweeping effort that includes original dialogue and voice acting and has been overseen all this time by design lead Brandan Lee, a programmer who’s also worked on other mods. The first installment became available to play as far back as 2013, but this month (as spotted by PC Gamer) is the first time the entirety of it has taken shape as something resembling a full game. The mod takes place in a newly designed map depicting the Black Bear Mountain National Forest in California. It includes dual main quest lines, side quests, new companions, and a full-fledged “New California Republic Radio” station. According to the update, the mod currently has over 14,000 lines of original voiced dialogue, about a quarter of New Vegas’ script. So why has it taken so long? Volunteer projects with this type of ambition rarely happen quickly, and New California’s no different, especially with its branching main campaign. All of this narrative variety and choice requires a lot of time to organize, both in terms of the game’s structure and when it came to programming. “The code is a labyrinth the density of a neutron star, it’s just a web of branching conditions and checks on unexpected player behavior,” the post reads. “Pascal probability handlers to see what the player might randomly decide to mix together, basically.” Unlike a lot of visually stunning mods, New California’s complexity comes in the complex web of plot and player consequences its trying to weave. Lee’s team had originally wanted to get the mod out before the release of Fallout 4, he told Kotaku in 2015. That didn’t happen, but lots of ambition mods for large open world games never even get completed. One project attempting to recreate Fallout 3 inside Fallout 4 was canceled just last month over concerns about legality and a lack of resources, years after it had been in development. In that context, simply getting a playable build of a Fallout: New Vegas mod available for fans to test is a huge achievement. Beta testing is currently only remote, but should be open to all willing players in the future. You can always go check out the earlier versions and first installment of the mod here.